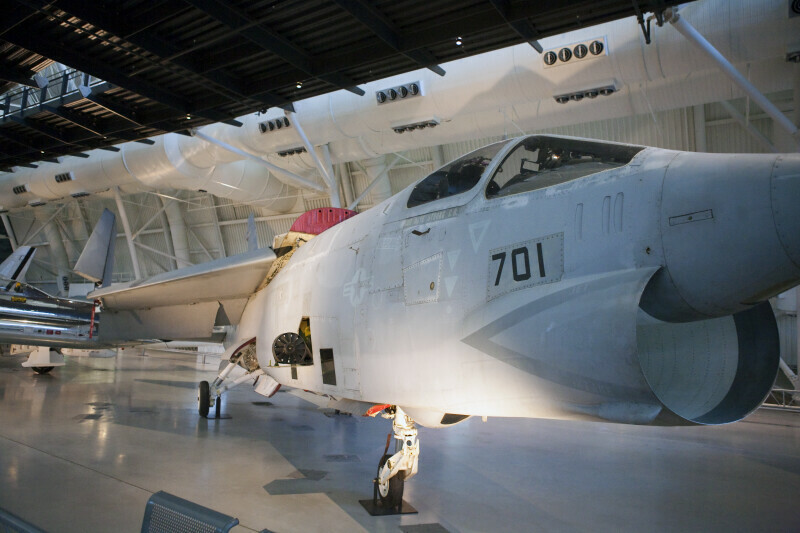 Front of a Vought RF-8G Crusader on display at the Smithsonian's Steven F. Udvar-Hazy Center. First flown in 1955, the F8U Crusader was the first carrier-based jet fighter to exceed 1,600 kilometers (1,000 miles) per hour. This RF-8G was the last operational Navy F-8, its career total of 7,475 flight hours is the most of any Navy Crusader built.